Home/AACD, AADGP, AAOMS, buy dental scrap, dental gold, dental labs, Dental Metals, dental practice, Dental scrap, sell dental scrap/How To Upgrade Your Dental Practice Today? Upgrading your dental practice takes money sometimes a whole lot of money. What if I said you could upgrade your dental practice today, using your dental scrap. Yes, a lot of dentists use their dental scrap return to upgrade their practice. What effect can upgrades have on your practice? A lot. Today, patients the latest and software when they visit the dentist. 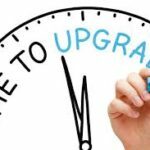 You can upgrade your practice with a new scheduling software, dental massage chairs, or the latest dental extraction tool. Whatever new upgrade equipment you desire, a high return is close by. Get a higher return for your dental scrap by collecting this material in one of our FREE collection containers. Contact me today at (877) 308-2388, or get started by requesting your FREE collection container. Get started on those upgrades soon. 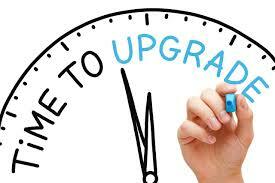 Upgrading your dental practice takes money sometimes a whole lot of money. What if I said you could upgrade your dental practice today, using your dental scrap.